What goes up, must come down and balloons and sky lanterns are no different. Once released they are carried by the wind and land in the path of unsuspecting animals that get tangled or consume them, mistaking them for food. Sign the campaign now to encourage a ban on sky lantern and balloon releases. While they may seem fun and a beautiful way to celebrate or pay respects to lost loved ones, sky lanterns and balloon releases are harmful to terrestrial and marine life. They land in all sorts of locations, both on land and at sea, where they not only look messy but also pose a threat to any animals that cross their paths. The main risks to animals include injury from becoming tangled in the strings of balloons and wires of lanterns, death by choking or damage to internal organs from ingestion – animals often mistake them for prey – and stress and injuries as a result of being spooked by unfamiliar objects. 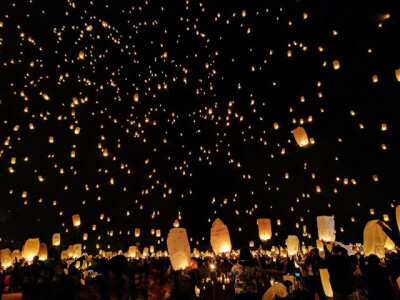 Sky lanterns can also cause fires, destroying property and harming wildlife, and can result in the coastguard being called out unnecessarily as they are mistaken for flares. Stand up for wildlife today and support the campaign to encourage a ban on sky lanterns and balloon releases.